11 Şubat 2019 Pazartesi 17:00 - 5 reads. Mats Zuccarello have taken 15 points – five goals and ten assist in ten games since 12. January, according to the NHL. Also in the fight against the canadian Maple Leafs on Sunday picked the Norwegian points, and contributed to the victory. The first goal came after just 28 seconds, where Mats Zuccarello and Chris Kreider gives Mika Zibanejad assist. Ten minutes later equalized the Maple Leafs, signed Kasperi Kapanen. It was however not long before the Rangers take the upper hand again and provide enough of a scoring, this time by Jimmy Vesey to the position 2-1. Toronto asked to start in Madison Square Garden with their longest winning streak of the season in the bag. The team had four victories in a row, and had taken points in the last six matches. self-esteem from Canada-the team's previous matches was not in the meeting with a strong Rangers team, who, after a goalless second period put the puck in the goal two times in the third period. Adam McQuaid, with assist from Zuccarello, scored after 12 minutes, before Kevin Hayes delivered an unassisted goal seven minutes later to score 4-1. 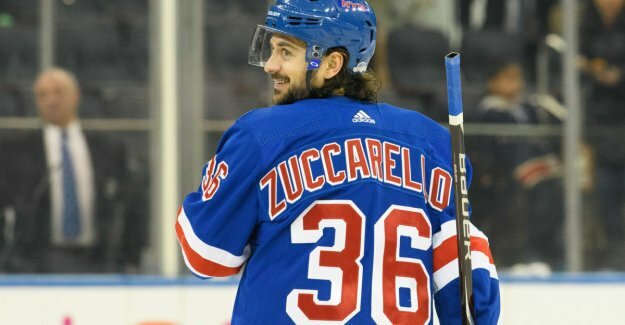 Zuccarello got 20 minutes and 12 seconds on the ice this time.